Our grooming facility is appointment based. as late as 6:00pm for pick up, IF YOU PLAN ahead. 816-333-2522 to make an appointment. We have appointments available on Saturdays for those of you who work weekdays. Pre-book and you will always have a date on the books. 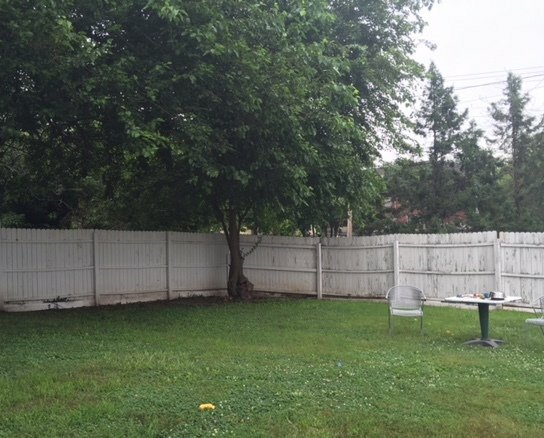 We have a wonderful yard for the dogs to play in. of DOGS & CATS too! We strive to provide the highest quality professional grooming possible according to breed standards and / or to the specifications of the owner, along with providing a positive experience for the pet with the least amount of stress possible. We believe grooming should be a routine, yet exciting part of your pets life. 1. Appointment times are very flexible. 3. Pets do not have to stay "all day" for grooming. We call you as soon as they are done! 4. We offer EXPRESS Grooming, for the special needs pets. 5. We have a grassy back for your dog to run and potty if needed. Daycare is available for the small dogs if needed.